So I got nominated for a Liebster award by none other than Michelle Clarke michelletherunner.com (aka @runningchic on Twitter!). Michelle is a great ambassador for so many running products and the like, plus just an all out fun kinda gal. She is also a fellow Mizuno Running Ambassador. (mizunocda.com). Now I have to answer the 10 questions that I have been given. I love this stuff. Especially when I know the answers!!! Thank you Michelle for nominating me! I have never been nominated for any thing social media like before and I really want to get to be able to touch base with others and hopefully inspire along the way. Then I need to nominate 10 more. So here goes the answers to my questions. 1. What is the most useful running gear you use? 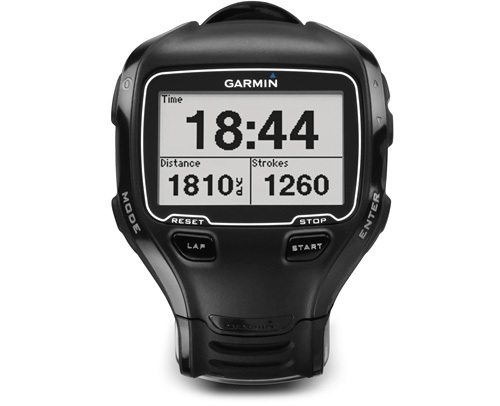 Probably my Garmin 910 XT. I love the ability to program all my interval workouts into it and to have it vibrate on my arm when it is time to change gears in pace. I also like that it has so many different screen options. 2. Do you run with music and if so what is your favourite band to run to? 3. If you could go anywhere in the world to run a race, which race would you choose. Hmmm, so many choices. I will split it up into two. 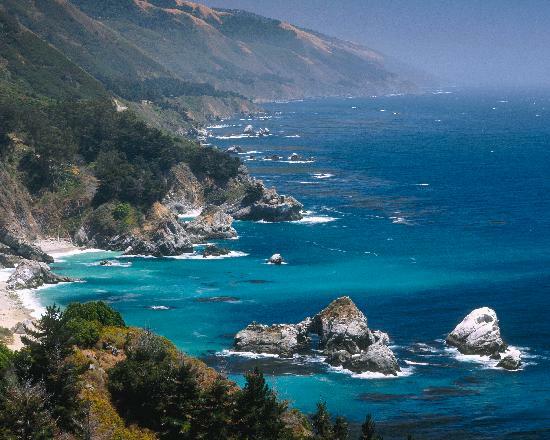 If a North American destination, I would love to go to the Big Sur Half Marathon. Big Sur looks like a beautiful place. Otherwise, internationally I would love to run somewhere in Italy. Great coffee, great food, great people. Big Sur looks so gorgeous! 4. Do you have any unusual or quirky pre-race tradition? 5. What is your most memorable race story? I think it’s a tie for this one too. I have a lot of them as I have been racing in road or tri for the last 16 yrs. My first 5km was the Run for the Cure. My husband pinned my number on my back (that’s where we thought it went! and he said, I hope I am not going to have to do too many of these….well 16 yrs later…and he has also been in running for many years having just finished his 7th marathon! 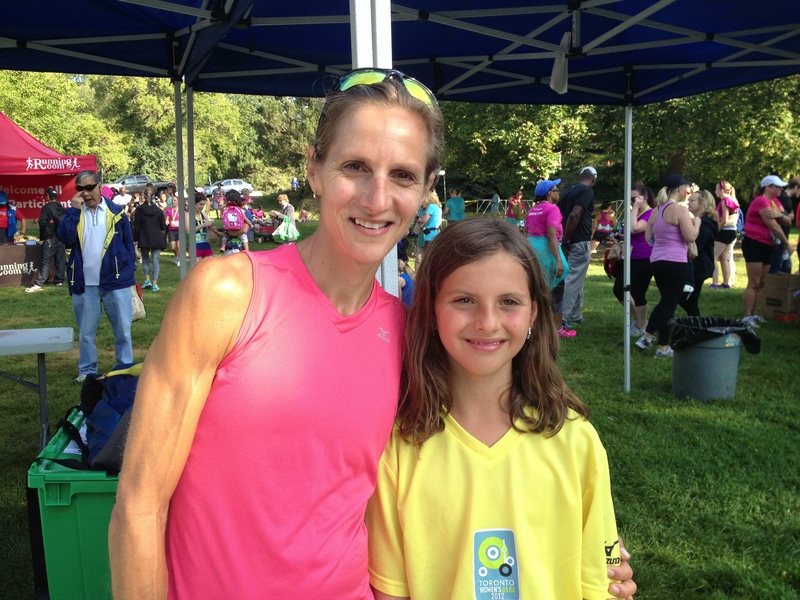 My other most memorable was doing a tri with my daughter when she was 3…..my proudest mommy moment other than her birth. It was so cute. 6. Do you prefer running first thing in the morning or at night? Definitely a morning runner! My usual time is 6 a.m. On weekends, I prefer a little later so I can have some coffee and fruit first. I love the quiet in the morning and the traffic free roads. And running without too much food in me as I get cramps if I eat too close to a run. 7. If you could share one training tip what would it be? Gradual progression of distance, speed etc. Don’t increase too much too soon. 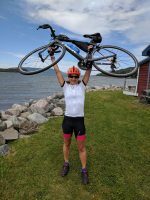 As a physio and coach, I always see the fall out of poor training plans. 8. Favorite food to eat after a Sunday long run? My go to breakfast: 2 plain rice cakes (1 with cottage cheese and jam, 1 toasted with natural peanut butter and nutella), 1 caramel Cracker Jack rice cake toasted with natural peanut butter and honey . I have this then after my shower have a 2nd homemade latte. I am a peanut butter fiend. I can’t really think of one person, more I am inspired to keep fit and healthy to be a good example for my daughter. To demonstrate what it means to use our bodies in a healthy way. To strive for goals if we have them related to running or life. 10. What is your favourite running movie? I loved Saint Ralph. The story of the little boy determined to be the youngest to run Boston. He overcame adversity and people telling him he could not do it. Well I got to 8……:) . I guess that take me out! 1. What is your go to pre – run food or drink? 2. What other cross training activities do you participate in? 3. Do you prefer solo runs or group runs? 4. What is your favourite brand of running shoe? 5. Do you run more outside or on a treadmill? 6. What is your favourite race memory? 7. What nutrition products do you use regularly? 8. Have you ever had an injury that took you out of running for more than a month? If so, what was it and how long were you on the shelf? 9. Do you always run with fluids? Or do you find drinks along the way? 10. Are there any races that you have run every year since you started to run or race? Yes it is….and I am really enjoying audiobooks more though!